Hi, John Sims here, and congratulations on your order of the Keto Burn Protocol. You’ve just taken the first step towards freeing yourself from life-threatening belly fat, and transforming your health and happiness in the process, and I’m sure you can’t wait to get started. But first, I have a huge opportunity for you. However, it’s only available on this page, so if you click away now, you will never see it again. What if there WAS a way to accelerate this process even further, shed belly fat faster, and revitalize your health and vitality sooner? After all, belly fat, and in particular, visceral fat, not only looks ugly, but is incredibly dangerous to your health, increasing your risk of heart disease, type 2 diabetes, high blood pressure, stroke, sleep apnea, malignant tumors, and much more. So if there was anything I could do to accelerate your fat loss, reverse any damage that your weight gain may have already caused you, and get you looking and feeling healthier faster, I knew I had to do it. … An advanced “maximum strength” program that will not only cut the amount of time it takes to shed belly fat using the main program, but on top of that, give you everything you need to transform your health, vitality and energy levels, and start looking and feeling younger. THE SKINNY: The biggest problem some of our customers have faced in the past is that they’re not expert cooks, and can often struggle to follow the recipes – which can result in all kinds of mistakes, and the resulting meals coming out not quite as they should! And when this happens, people quit before they give the protocol a chance to succeed. That’s why in the maximum strength package, you’re going to get exclusive access to Craig, our fully qualified professional chef, who will walk you through the recipes step-by-step, ensuring that they’re prepared properly, cooked perfectly, and taste amazing, while saving you hours of cooking time! And to ensure you get the very best meals to try, we’ve surveyed our 55,000 members’ to come up with 21 “ readers’ favorites ” – that’s 7 of the most popular breakfasts, lunches and dinners for you to try. All you need to do is press play on your laptop or smartphone in your kitchen and copy everything Craig does. If you can’t keep up, just press pause. If you miss something, simply rewind and start again! You literally can’t go wrong, and the result of this is that each meal will be delicious to eat and as powerful as possible when it comes to accelerating your fat loss. Upgrade to the Maximum Strength Solution now and get instant access to The Personal Chef Collection Video Series (worth $197.95). THE SKINNY: We all know that exercise speeds up fat loss. But the problem is, 99% of my clients absolutely hate exercise! That's why Keto Burn doesn’t include a single bit of exercise. But what if you could get all the fat-busting benefits of exercise, with no more than 60 seconds of effort? A study at The University of Western Ontario in Canada has shown that short, high-intensity sessions of no more than 30-60 seconds can produce TWICE as much fat loss as boring and time-consuming low-intensity sessions, like 60 minutes of incline treadmill walking, for example! Let me repeat that… Just a handful of 30-60 second high intensity exercises burn MORE FAT than regular exercise, but with just a fraction of the commitment. In 60-Second Fat Burners, you will receive 37 step-by-step video tutorials from my good friend Laura, a certified personal trainer, who will walk you through each of these super-simple but highly effective 60-second exercises, which you can perform at home, at any time of day. Each of these easy-to-follow exercises takes no more than 30-60 seconds of your time – but are scientifically proven to send your metabolic rate into hyper-drive, burn more fat, shave inches off your body, and boost your cardiovascular health. Together with the Keto Burn Protocol, you can expect INSANE results. Upgrade to the Maximum Strength Solution now and get instant access to 60-Second Fat Burners (worth $97.95). THE SKINNY: In The Turbo Fat Loss Video Series, you will be introduced to Troy Adashun, an ISSA Certified Personal Trainer, nutritionist, and fat loss expert. Between his best-selling health digital books like Science of Abs, his popular YouTube fitness channel, and his online health coaching service, Troy has transformed the bodies and lives of thousands. In Troy’s Turbo Fat Loss Video Series you will get exclusive access to over 120 minutes of proven, cutting-edge tips and tricks for melting fat quickly and easily, and shedding dangerous weight from all over your body. This video series alone will ensure that you achieve a complete body transformation in no time at all, and a life-changing improvement in your health and wellbeing. Upgrade to the Maximum Strength Solution now and get instant access to The Turbo Fat Loss Video Series (worth $99.99). Life’s busy, right? I get it. You may be running late for work in the morning, or too busy to stop for lunch, which means you won’t have time to prepare one of your Keto Burn recipes. Instead of missing a meal and jeopardizing your progress, all you need to do is whip up one of our super-simple and delicious smoothies, which take no more than 2 minutes to make. We’ve included 24 smoothie recipes in this brand-new digital book, exclusively available to Keto burn customers, and every single one is packed with flavour, and will leave you feeling full, satisfied, and bursting with energy. Inside you’ll find a keto-friendly smoothie to tickle anyone’s taste buds. Partial to peanut butter? How about our peanut butter cup smoothie? Favor fruit? Try our strawberry coconut or raspberry cheesecake smoothie. Whichever takes your fancy, these delicious, full-fat smoothies are a perfect meal replacement if you’re pushed for time, or can be enjoyed as a quick and convenient snack at any time of day. Upgrade to the Maximum Strength Solution now and get instant access to Keto Smoothies (worth $27.95). THE SKINNY: Once you’ve sent your fat-burning efforts into overdrive with the products above, the next step is to revitalize and transform your health, so you not only feel, but look younger. 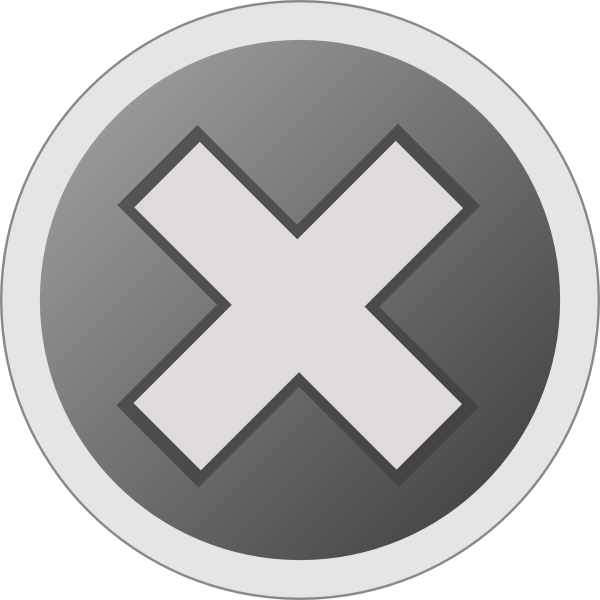 And the best possible way of doing that is to limit your exposure to damaging free radicals. Free radicals are the natural byproducts of chemical processes in the body, but more and more research suggests that free radical damage is the cause of human aging[4-6]. "The free radical theory of aging states that we age because of free radical damage over time,” says Dr. Lauri Wright, assistant professor of nutrition at the University of South Florida. For this 5-part video series, I’ve teamed up with Dr. Ryan Shelton, M.D., who will walk you through everything you need to know about free radicals, including what they are, the foods, household products and environmental triggers proven to create free radical damage in your body, plus the exact foods you need to eat to protect yourself from free radical damage, fight the aging process, and look and feel years younger. Upgrade to the Maximum Strength Solution now and get instant access to The Free Radical Anti-Aging Video Series (worth $99.97). THE SKINNY: To help you boost your health and vitality and fight the aging process even more effectively, I’m also going to include my Natural Healing Library – a collection of 30 high-quality digital books overflowing with proven and 100% natural healing methods sourced from around the world. From Qi Gong, Tai Chi, binaural beats and magnetic therapy, to Pilates, Reiki, meditation and Yoga, all of the world's most powerful and effective natural healing methods are here to be discovered and enjoyed. And that's just ONE of the 30 digital books you'll find inside. The good news is, you can put ALL of these natural healing methods to the test in your own time, and from the comfort of your own home. 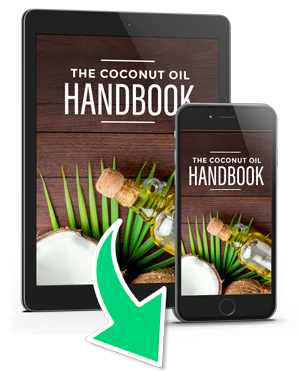 This advanced natural healing library of 30 digital books is valued at $109.10, but I'm giving it to you absolutely free when you upgrade to the Maximum Strength Solution today. I value my customers, and I like to reward them as often as I can. That’s an incredible 90% discount on the retail price of this package. 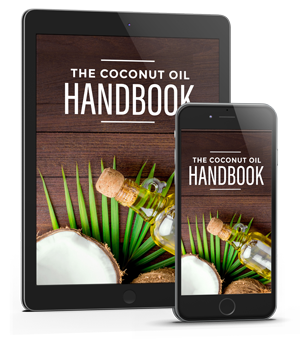 Add the Complete Coconut Oil Handbook to this order, and discover the secret anti-aging, disease fighting and fantastic at-home uses of the “miracle” nutrient – Coconut Oil, one of the healthy fats the Keto Burn Protocol is based on! Normally $39.95, get it for just $9.97 when you check the box below (recommended). Yes! Add The Coconut Oil Handbook to this order. PLUS, YOUR ORDER COMES WITH A 100% SATISFACTION GUARANTEE! Just like your original purchase, The Maximum Strength Solution comes with an iron-clad 60-day money back guarantee, making your investment risk-free for a full two months. Put this advanced system to the test in your own time, and if you’re not 100% satisfied for any reason at all, just send me an email and I will refund every cent. No questions. No quibbles. No hoops to jump through. Remember, The Keto Burn Maximum Strength Solution may not only accelerate your fat burning in the first 30 days, it could also improve your primary health markers even faster, such as blood pressure, cholesterol, and blood glucose, and have you looking and feeling years younger. If you were to put a price on that, you’d be talking thousands. Yet all I’m asking for is $59, and it’s completely risk-free. Hit the ‘YES! Add to My Order’ button below, and I’ll send you The Keto Burn Maximum Strength Solution straight to your inbox. P.S. Don’t forget, this special offer is only available on this page, so if you decline it now, you won't be able to come back at a later date. And believe me, you don't want to make this mistake. I've received emails from clients – some even just a few minutes after they declined this offer – begging me to make an exception and let them purchase it. And as much as I wanted to say yes, I've had to turn them away in order to remain fair to those who did decide to seize the opportunity and take up this offer when it was presented to them the first time. So you have one chance, and one chance only to pick up the Keto Burn Maximum Strength Solution. Why miss out, and make your task of shedding pounds of unsightly fat and transforming your health, vitality and energy levels harder than it needs to be? 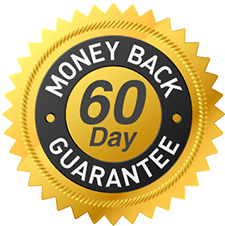 Your order is backed by my 60-Day, No Questions Asked Satisfaction Guarantee. If you’re not 100% satisfied with your purchase for any reason at all, simply contact us at [email protected] within 60 days for a full refund. Please continue reading this page. Did you know, The Keto Burn Maximum Strength Solution is valued at $632.91, and it’s not available in stores, or anywhere else. Get it today for only $59.